Pre-drawn subway map symbols represent metro line, metro corner, metro curve, station, transfer station, cross station, label, etc. These symbols help create accurate diagrams and documentation. 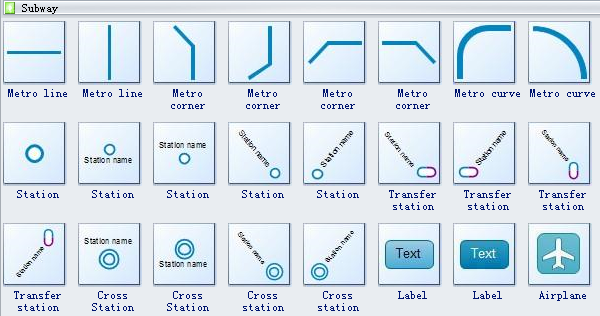 Edraw subway maps templates provide you plenty of special shapes, metro line, metro corner, metro curve, station, transfer station, cross station, label, airplane, etc. All these special shapes enable you to draw the subway map you need. Subway map shapes like metro line, metro corner, metro curve, station, transfer station, cross station, label and more are available here. Station is a place where subway trains stop on a railway line, typically with platforms and buildings. Transfer station is a train station for more than one railway route in a public transport system, and allows passengers to change from one route to another. 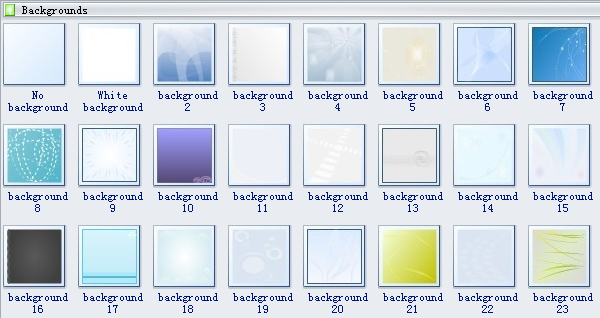 Lots of nice-looking backgrounds are available in Edraw software. Your beautiful diagrams will surely look more attractive with the help of these backgrounds. 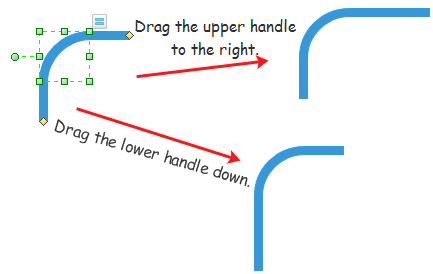 Burnish your diagrams by learning to insert and edit background. Follow the simple step below to apply this group of symbols. Choose Maps group in the Available Templates list. Double click the icon of Subway Map in the Templates window. The library containing all Subway Map shapes opens along with a blank drawing page. Drag shapes you need directly to the drawing page. Move or resize shapes by dragging their selection handles (square, green dots around shapes when they are selected). Besides, you can adjust them more flexibly through the floating action button and the yellow control handles. See the following illustrations. The Metro line, Metro corner and Metro curve can be modified in terms of Road Width and Length. Click the floating action button and then enter the number of width in the pop-up dialogue box. To use the yellow control handles, select the sahpe firstly and then drag them according to your need. Station shapes with text box can be adjusted as follows. Need fresh looking subway map symbols for your design? These subway map symbols are a cinch to pop in. And their crisp, fine detail will make spectacular, easy-to-understand diagrams and presentations to your customers. Seeing is believing. 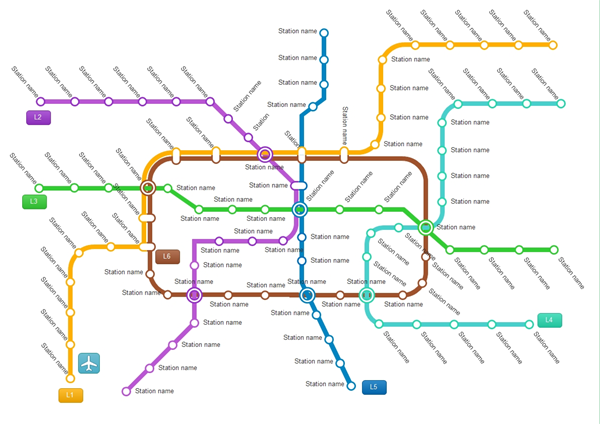 You can find out the effect yourself from these links: City Subway Map; Examples - City Subway Map. Learn an easy way to draw subway from Design a Subway Map Effortlessly in Minutes. If you are a beginner to ride subway, read these tips.